← What Does the Bible Say About Wearing Red Shirts? Do I Look Good In White? White! That’s the only color available? 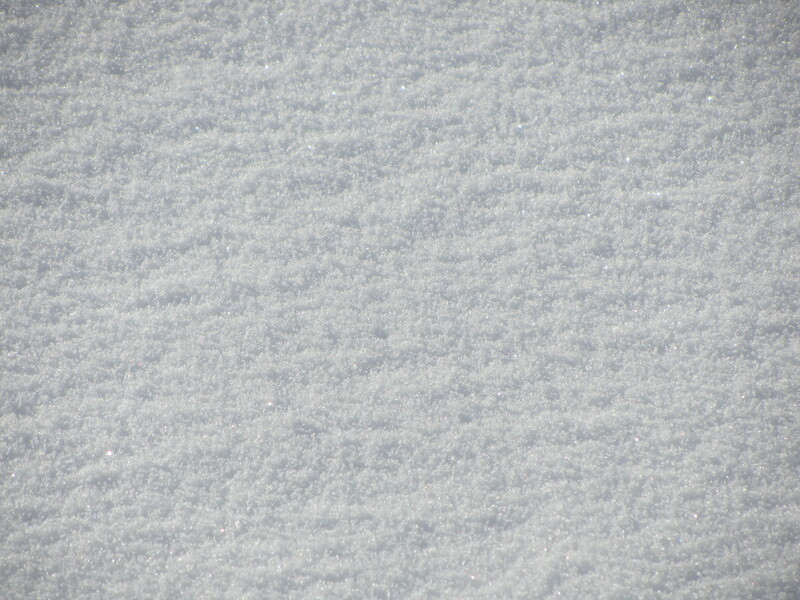 Snow sparkles but it's still just white, white, white. And robes? What is this a health spa? In Revelation 7, John the Apostle describes a scene in heaven. Then one of the elders asked me, “These in white robes—who are they, and where did they come from?” (Rev. 7:9, 13 NIV). White robes put two images in my mind—Catholic school uniforms and Russian banyas. In my mind, one symbolizes conformity and the other ease. So carnality, my lustful, proud side, fights the white-robed image. White robes seem so plain, dull, and boring. They lack color and imagination. They have no…uh…pizzazz. And I thought heaven’s reality exceeded my imagined fantasy world in take-your-breath-away wonder like a Ruth’s Chris signature filet surpasses pre-pounded cube steak in taste and texture. But white robes? Does that scene scribble the words creative, amazing, and/or wonderful into your thoughts? More like stereotypical prophet garb found in a black & white B-movie from the fifties. Can we colorize that image? No, we can’t, because it’s not ours to fiddle with. Which makes me curious. What is the significance of a white robe? First of all, the biblical scene recorded by John in Revelation 7 does have more color and action in it than one with a bunch of pink-skinned bums wrapped in white spa robes lazing poolside or dripping sweat in a sauna or perching, harp in hand, on cloud puffs. You can read the passage for yourself here. Second, for certain, those robes signify cleansed lives. “These are they who have come out of the great tribulation; they have washed their robes and made them white in the blood of the Lamb” (Rev. 7:14b NIV). I like that imagery, a clean life, because my life needs a bath. Remember “carnality, my lustful, proud side”? That’s not a simple, playful aside. It’s the unadulterated truth. My soul stinks from the rot that goes on inside my heart and head. If I opened up and revealed the internal garbage, I’m pretty sure you would do one of two things. But this isn’t a come-clean confession or an all-of-life-is-depressingly-dark rant. I want you to think about the significance of white robes against the brilliance and activity of heaven. In one way, a white robe represents connection. I’m reminded of a joke. What does it mean when you see three elephants in pink sweatshirts? They’re all on the same team. Dumb joke, I know. But it illustrates what I’m trying to say here. Tough times connect all those who appear in white robes. The great tribulation cements their fellowship to the Lamb and to one another. Before politics and religion reshaped our thoughts, we Americans experienced a week-long time of solidarity in 2001. On September 11, our watching disaster unfold on American soil knitted our hearts together. If I asked, “Where were you when you found out the news?” I suspect you’d remember and have your own story to tell. And, for a moment in the remembering, you and I would be connected. And what is the team uniform? There’s one more thing about heaven’s special attire. A white robe signifies individuality. Individuality? How in the world does wearing the same thing signify individuality? Do you know who wears uniforms? Catholic school children, military people, and prisoners. That sounds pretty restrictive and conformist to me. I’m sure it does. But let’s think a little deeper here. We use things in our lives to mark our individuality. I wear giant diamond earrings and colors that would make flamingos seem dull in comparison to signify I’m flamboyant. I cut my hair in a crew cut to let you know I’m a conservative, clean-cut patriot or an orange Mohawk to tell you I’m a bit of a rebel. I wear an Armani suit and red silk tie to say I’m rich and powerful. By what I wear or don’t wear, I signal to others what kind of person I am. But after you strip away the special clothes and the unusual, perhaps even bizarre, hairstyle, what remains? And what stands out when I’m dressed like everyone else? All the unadorned parts that define who I really am. What I wear or own no longer defines me. After all, everyone wears the same thing. So I, not my fashion sense (thank goodness), begin to emerge. Jesus didn’t die to save our clothes. He died to save our souls. Question: What makes a person memorable to you? The Karstenkaz’s Why Wrong Theology Works? This entry was posted in Community and tagged 911, Book of Revelation, community, fashion, heaven, identity, John the Apostle, Personality, saints, tragedy, wearing white, white robes. Bookmark the permalink. 6 Responses to Do I Look Good In White? Good stuff! A person is memorable to me when they are authentic. A person is also memorable to me when I see a desire to want to follow the will of God. More and more, I am trying very hard to not let appearances dictate what stands out most to be about a person. Lord, help me! For me, smiles and sparkling eyes catch my attention. One friend is especially memorable because of his generous spirit. Another’s integrity stands out. I like your word, Kari–authentic–as well. I absolutely LOVE your point about individuality. I also think about how white is actually what we see when all of the colors shine at once. It’s as if God is clothing us in the only thing that can contain every shade of the beauty we were made in at once. Any other color would be leaving something out. It’s the beautiful paradox of total individuality that when lived out looks like total unity. Awesome. Also, this may be the greatest honor I’ve been given yet. To have my blog linked next to Donald Miller. Wow. I’m not on the same par as him, but that I would be put up there next to him is certainly an amazing experience! Thirdly, I have enjoyed your blog post more than most I read. Keep it up man. This is good stuff. Appreciate your words. You can thank Daniel at Soul Blind Ministry for making me aware of your post. The title intrigued me enough to read your article. Your points made me ready to share with others. And borrowing from you, “keep it up man.” You blessed me with your thoughts. By the way, I like your insights about white as “all the colors shine at once” and the fact our individuality emerges in our unity. That, of course, is my spin on what you wrote. God bless. Great post Tom! I also loved the white robe = individuality idea…not what I was expecting! Thanks, Chris, for the encouragement.